If you don’t have your own tackle you can hire mine all my fishing tackle is top quality, Penn senator multiplying reels and balanced light weight rods, Beware of free fishing tackle offers it’s usually old rubbish, MY HIRE TACKLE IS THE BEST you may only come sea fishing once a year so don’t spoil your day for the sake of a £5 hire charge. For those of you bringing your own tackle we suggest 20lb class boat rods for shad and lure fishing, 30lb class when big ling are about and uptiding means either uptiding rods to cast 5-8oz or 20lb class boat rods which double up nicely. Mainline should be braid of at least 40lb, with trace line of 40lb for shads and lures while bait fishing needs mono traces of at least 100lb to guard against wear, tear and ling teeth! 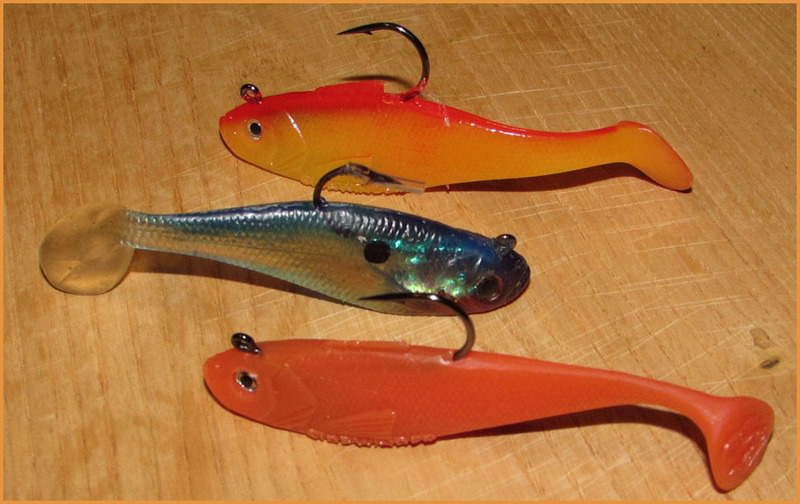 When it comes to lures there are lots of choices but 4″ shads in blue, orange, white and rhubarb and custard fish well. Jellyworms are great for pollock in red and black, while gathering mackerel for bait (or the BBQ) means using daylites or small hokkais. Weights of 10-12oz are good all round sizes but big baits in big tides may call for 1lb leads to be used.